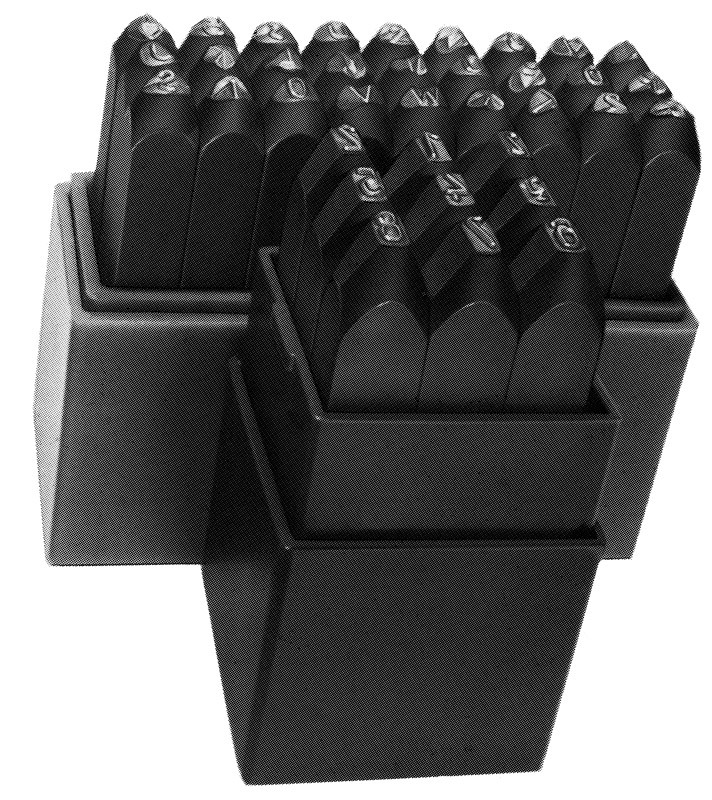 For die-stamping blanks with a strength of 60-80 kp mm2 and 120 kp mm2, font acc. to DIN 1451. Numbers set from 0-9 = 9 pcs. Upper case letters from A-Z + & (character) = 27 pcs. Lower case letters from a-z + . (dot) = 27 pcs. Mirror image design but also available right-engraved (die-stamp not legible). All stamps in a plastic casing with cover.